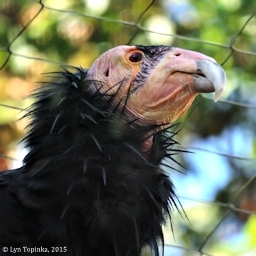 Click image to enlarge California Condor, Jonsson Center for Wildlife Conservation, Clackamas County, Oregon. Image taken September 19, 2015. 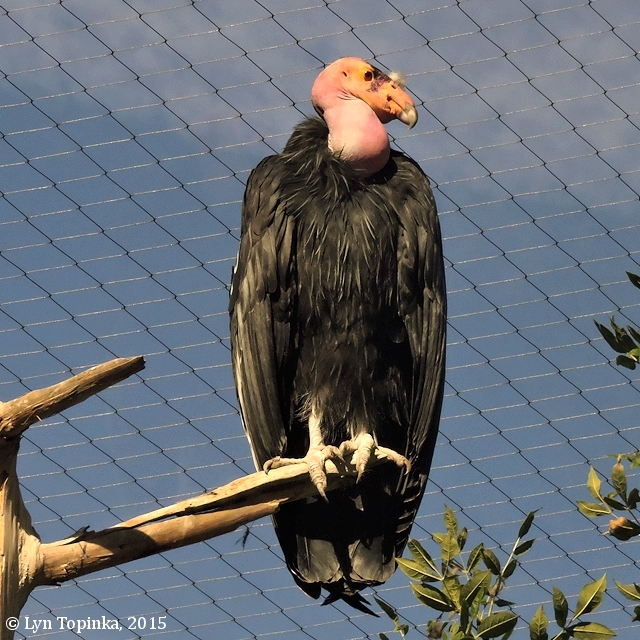 One reason California Condor recovery has been slow is their extremely slow reproduction rate. 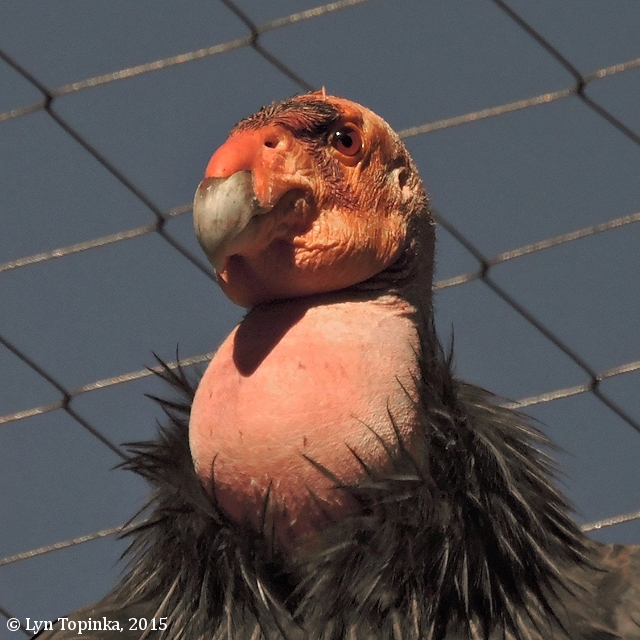 Female condors lay only one egg per nesting attempt, and they don’t always nest every year. The young depend on their parents for more than 12 months, and take 6-8 years to reach maturity." Source: Cornell Lab of Ornithology, 2017, "All About Birds". "... rained moderately all day. Saw the first large Buzzard or Voultur of the Columbia. 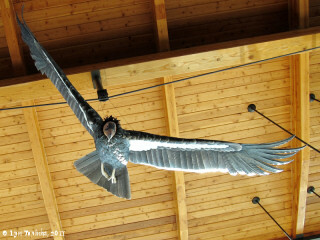 ..."
"... this day we Saw Some fiew of the large Buzzard Capt. 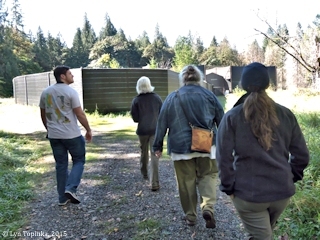 Lewis Shot at one, those Buzzards are much larger than any other of ther Spece or the largest Eagle white under part of their wings &c. ..."
"... we Saw a great number of Swan and geese along the Shores. Some turkey bazzards which had white under their wings. Capt. Clark killed a black loon. 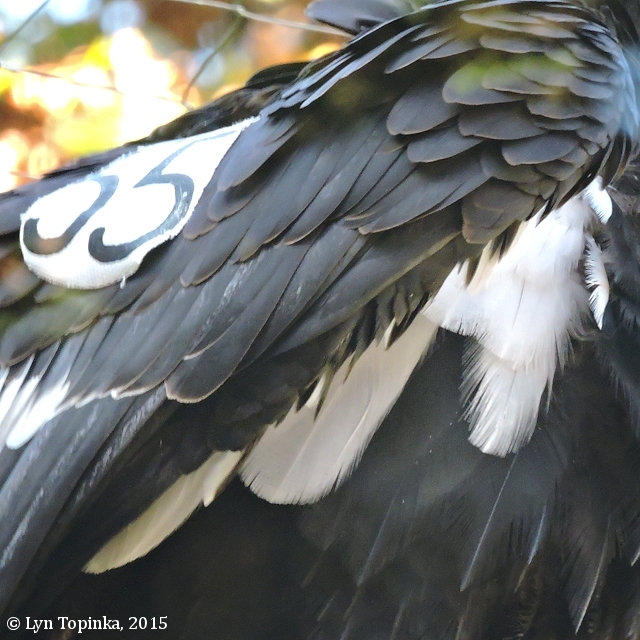 ..."
"... we Saw a great nomber of Swan and geese, turkey buzzards which had white on their wings &c. Capt. Clark killed a black loon. 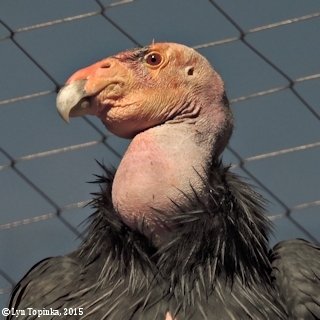 ..."
"... Rubin Fields Killed a Buzzard of the large Kind ... W. 25 lb. 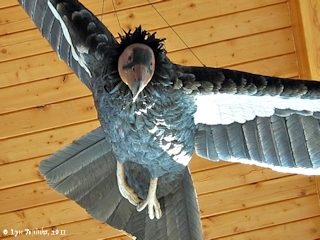 measured from the tips of the wings across 9 1/2 feet, from the point of the Bill to the end of the tail 3 feet 10 1/4 inches, middle toe 5 1/2 inches, toe nale 1 inch & 3½ lines, wing feather 2 1/2 feet long & 1 inch 5 lines diamiter tale feathers 14 1/2 inches, and the head is 6 1/2 inches including the beak. ..."
"... Shannon an Labiesh brought in to us to day a Buzzard or Vulture of the Columbia which they had wounded and taken alive. 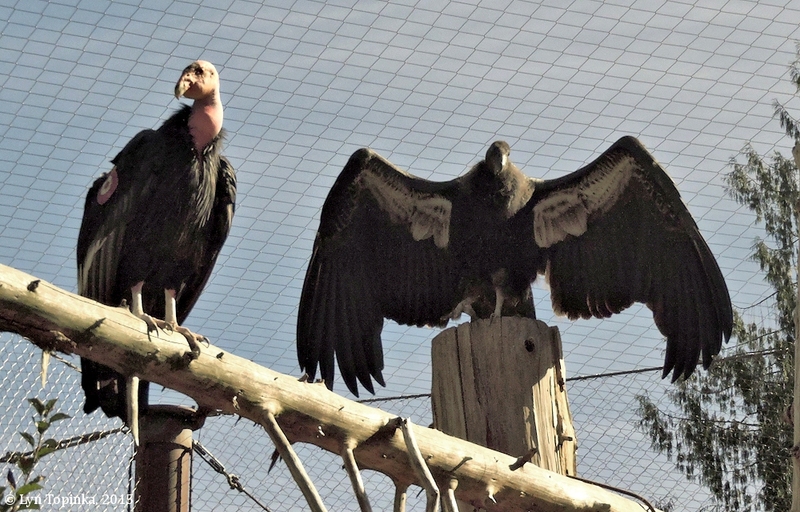 I believe this to be the largest Bird of North America. it was not in good order and yet it wayed 25 lbs had it have been so it might very well have weighed 10 lbs. more or 35 lbs. 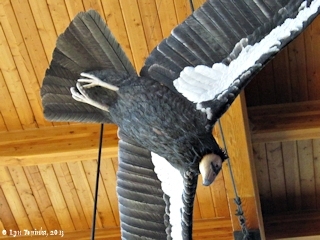 between the extremities of the wings it measured 9 feet 2 Inches; from the extremity of the beak to that of the toe 3 feet 9 inches and a half. ... [more description not included here] ... we have Seen it feeding on the remains of the whale and other fish which have been thrown up by the waves on the Sea Coast. 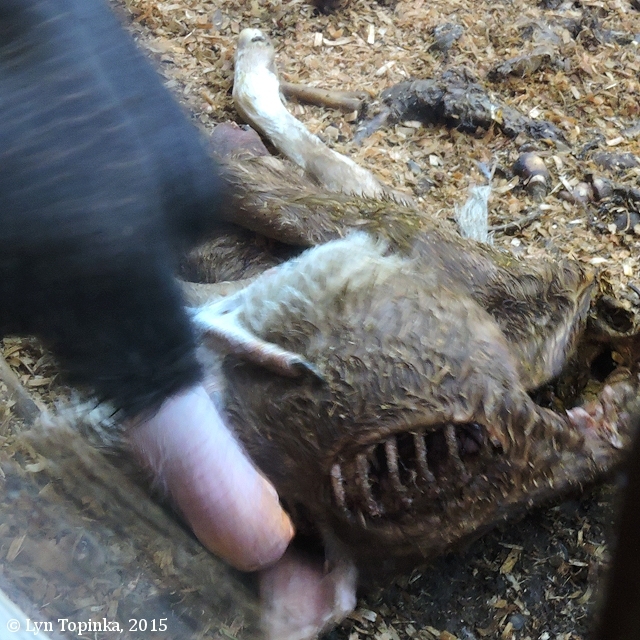 these I believe constitute their principal food, but I have no doubt but that they also feed on flesh. we did not meet with this bird un[t]ille we had decended the Columbia below the great falls; and have found them more abundant below tide water than above. this is the Same Species of Bird which R. Field killed on the 18th of Novr. last and which is noticed on that day tho' not fully discribed then I thought this of the Buzzard Specis. 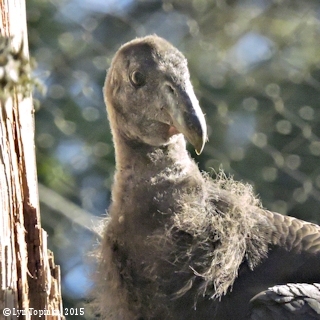 I now believe that this bird is reather of the Vulture genus than any other, tho' it wants Some of their characteristics particularly the hair on the neck, and the feathers on the legs. this is a handsom bird at a little distance. 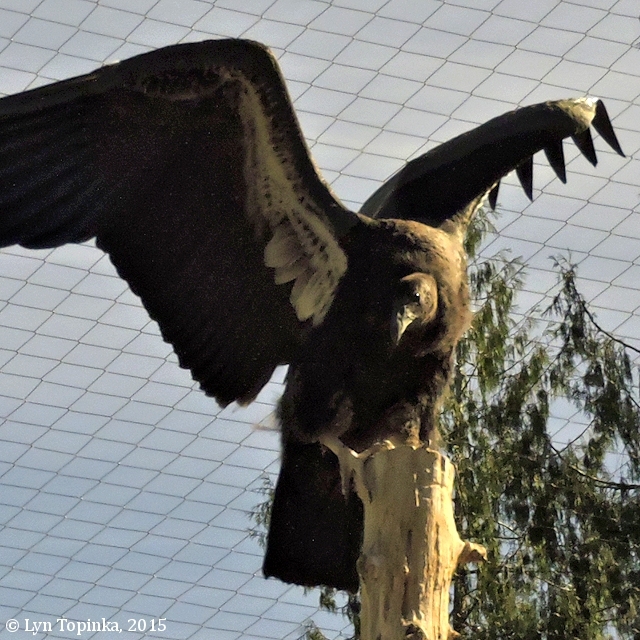 it's neck is proportionably longer than those of the Hawks or Eagle. 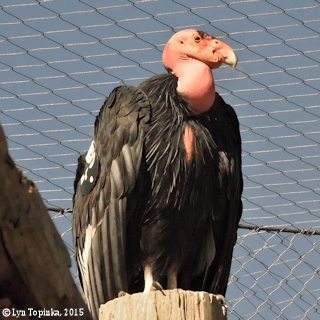 ... Shannon and Labiesh informed us that when he approached this Vulture after wounding it, that it made a loud noise very much like the barking of a Dog. the tongue is long firm and broad, filling the under Chap and partakeing of its transvirs curvature, or its Sides forming a longitudinal Groove; obtuse at the point, the margin armed with firm cartelagenous prickkles pointed and bending inwards. 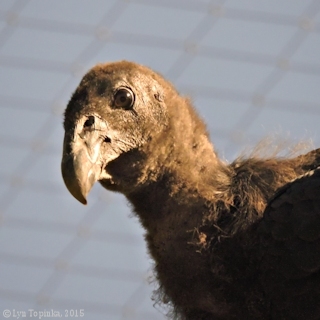 ..."
"... Shannon & Labuishe brought me one of the large carrion Crow or Buzzads of the Columbia which they had wounded and taken alive. I bleive this to be the largest bird of North America. it was not in good order ... [rest of text mirrors Captain Clark's February 16 writings]. "... Yesterday while I was absent getting our meat home, one of the hunters killed two vultures, the largest fowls I have ever seen. I never saw any such as these except on the Columbia river and the seacoast." Click image to enlarge Display, California Condor, Columbia Gorge Discovery Center, The Dalles, Oregon. 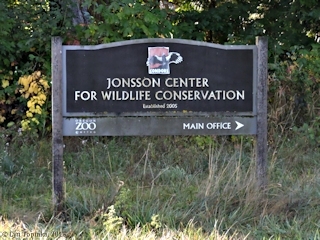 Image taken October 6, 2011. 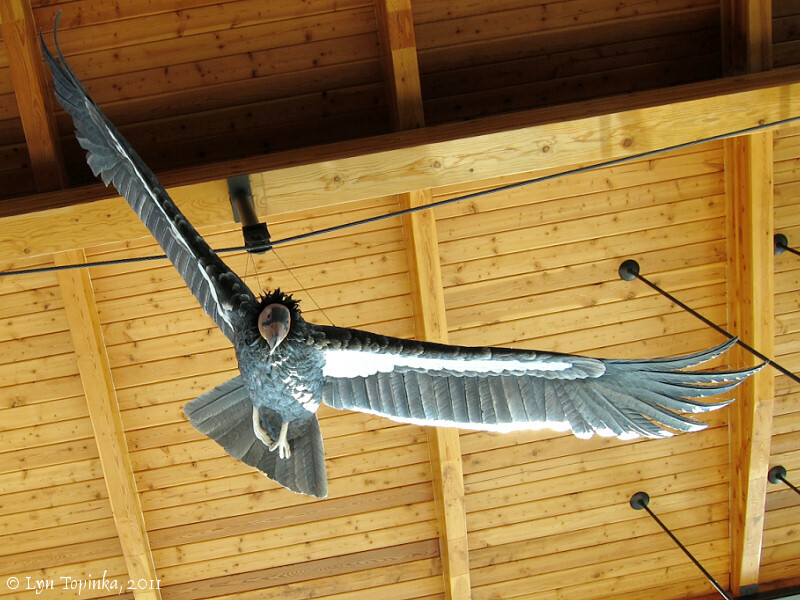 Click image to enlarge Display, California Condor, Columbia Gorge Discovery Center, The Dalles, Oregon. 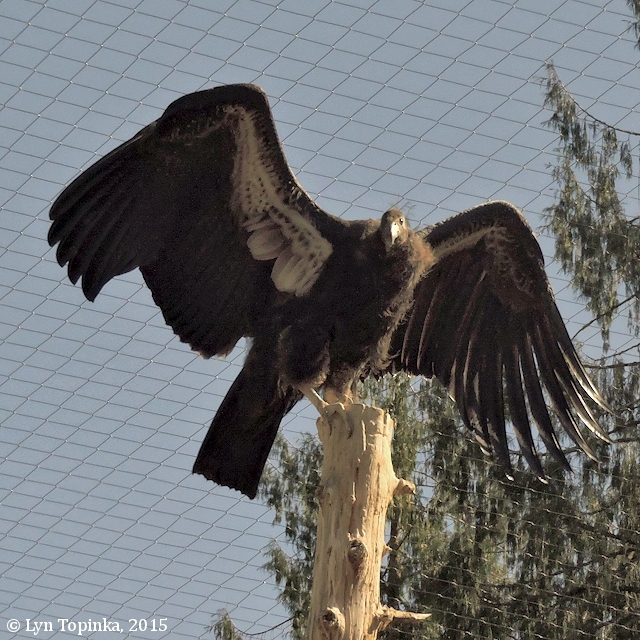 Image taken May 8, 2013. 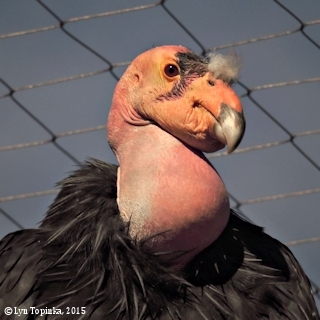 "The California condor was the first species to be listed under the Endangered Species Act in 1973. 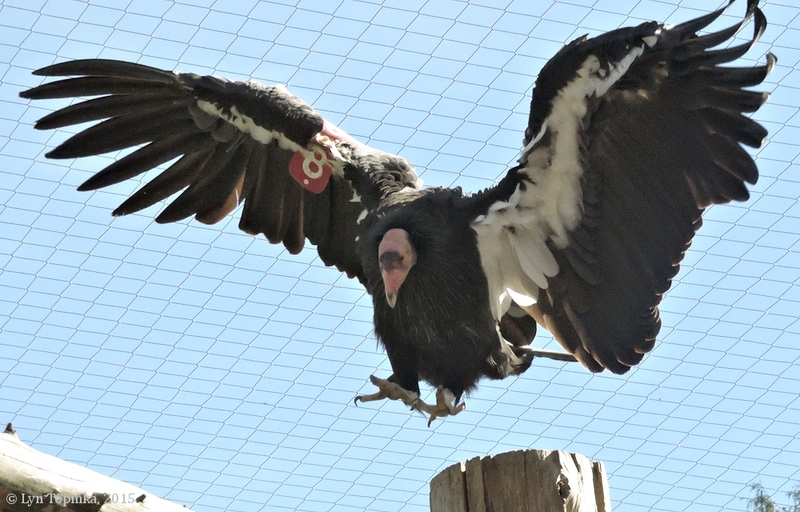 By 1987, the entire wild population had been reduced to 22 wild birds, which were taken into captivity to form the nucleus of today's California condor recovery program. The first birds were reintroduced into the wild in 1992." 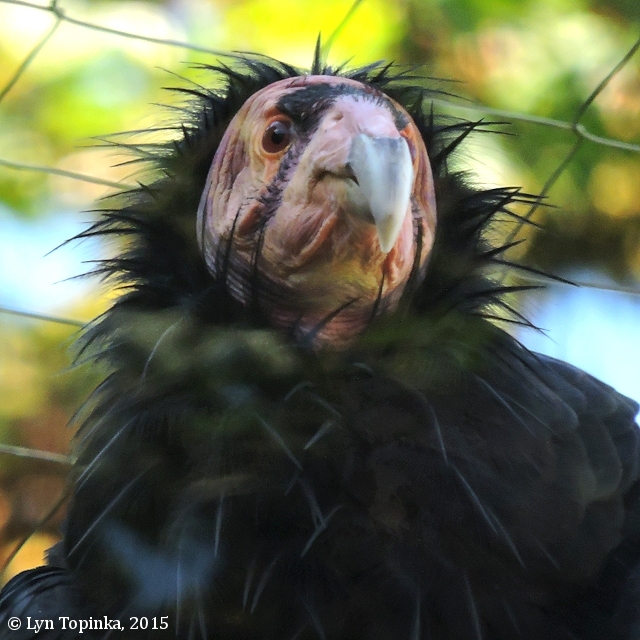 The Oregon Zoo's Jonsson Center for Wildlife Conservation is a 52-acre facility designed to limit human contact to maximize the young condors' ability to thrive in the wild once they are released. 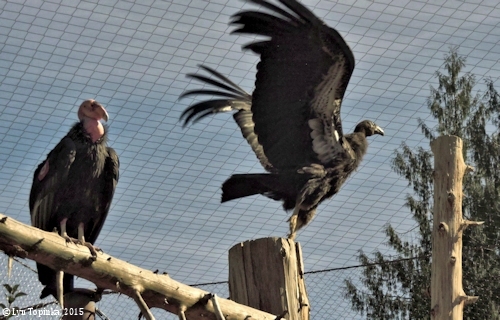 The Center was established in 2003 with six breeding pairs taking up residence. The first chick was hatched in 2004 and in 2006 the first Oregon Zoo Condor was released into the wild. The Center has space for 53 condors, including 11 breeding pairs. 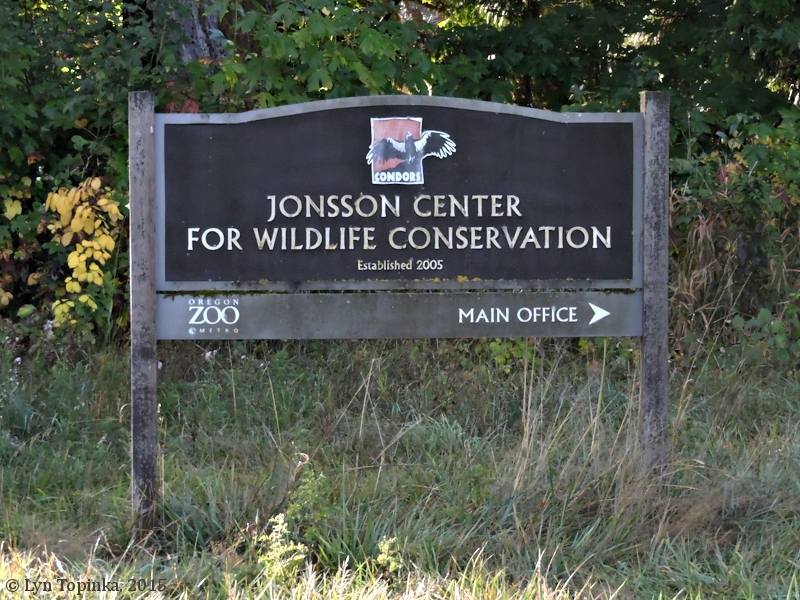 Click image to enlarge Jonsson Center for Wildlife Conservation, Clackamas County, Oregon. 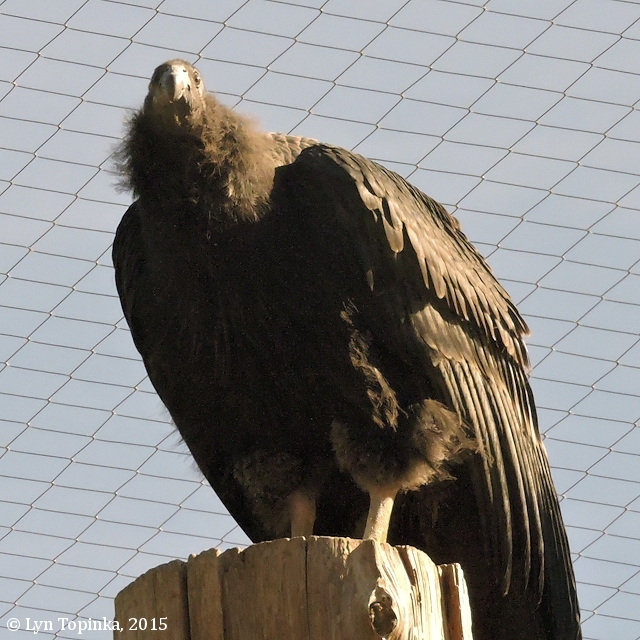 Image taken September 19, 2015. 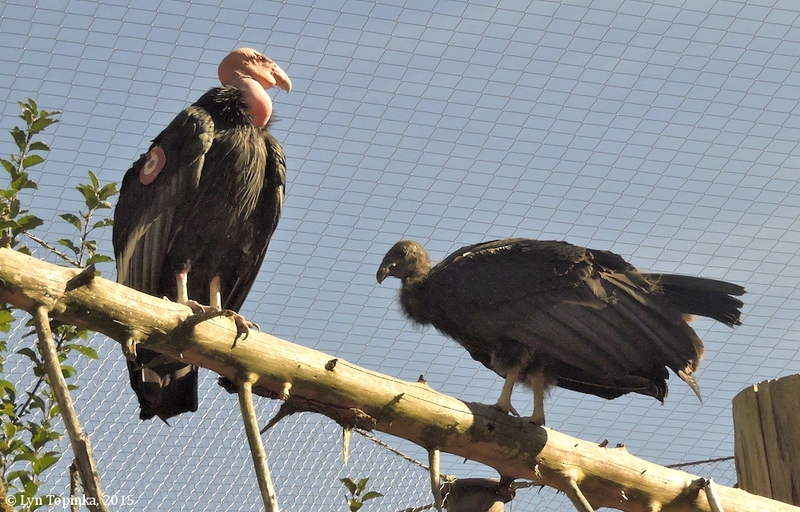 The three barns with the bird enclosures is completely tarped off so the birds do not see humans. Folks must whisper only and be as quiet as possible. 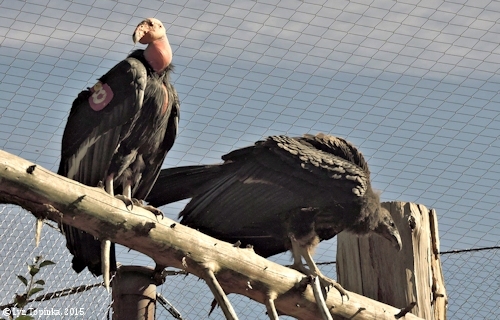 California Condors have a wingspan of nearly 10 feet, with the bird being nearly 4 feet from top of head to tip of tail. 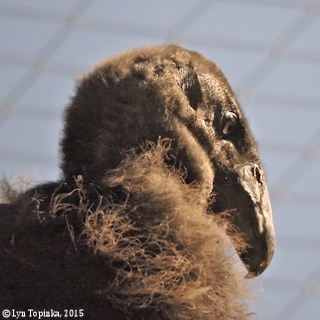 Fuzz on bridge of nose is from something else, not a part of the bird. Click image to enlarge Fledgling, California Condor, Jonsson Center for Wildlife Conservation, Clackamas County, Oregon. 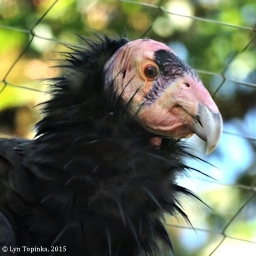 Image taken September 19, 2015. 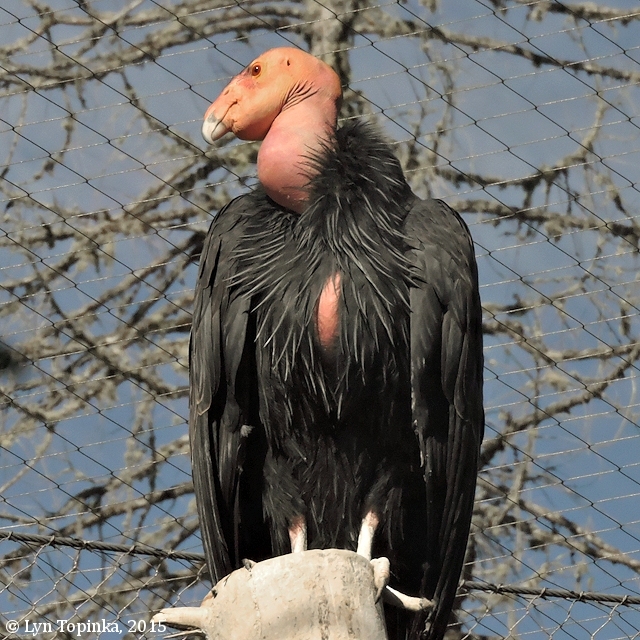 Click image to enlarge "Bachelor male", California Condor, Jonsson Center for Wildlife Conservation, Clackamas County, Oregon. Image taken September 19, 2015. This male has yet to find a mate and lives by himself. 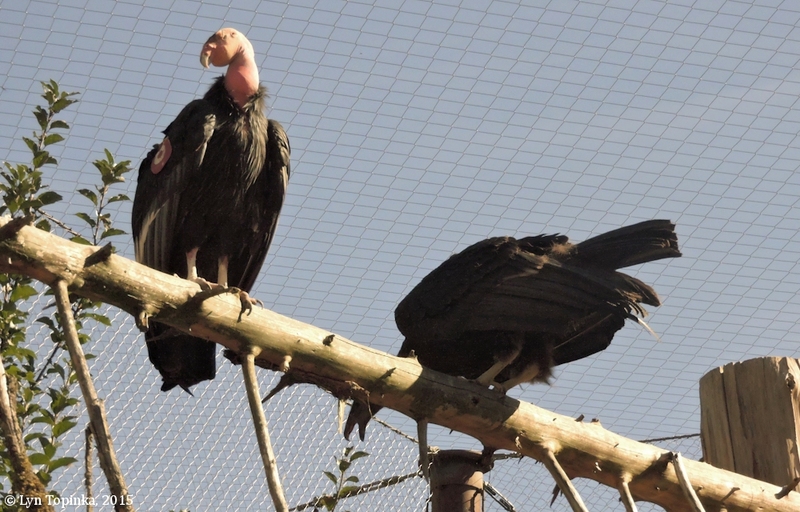 His compound was in the shade, thus he had his neck feathers raised, warming his neck. Some reflections from the window in the images. 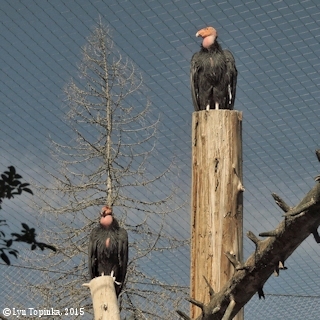 Click image to enlarge Breeding pair, California Condor, Jonsson Center for Wildlife Conservation, Clackamas County, Oregon. Image taken September 19, 2015. 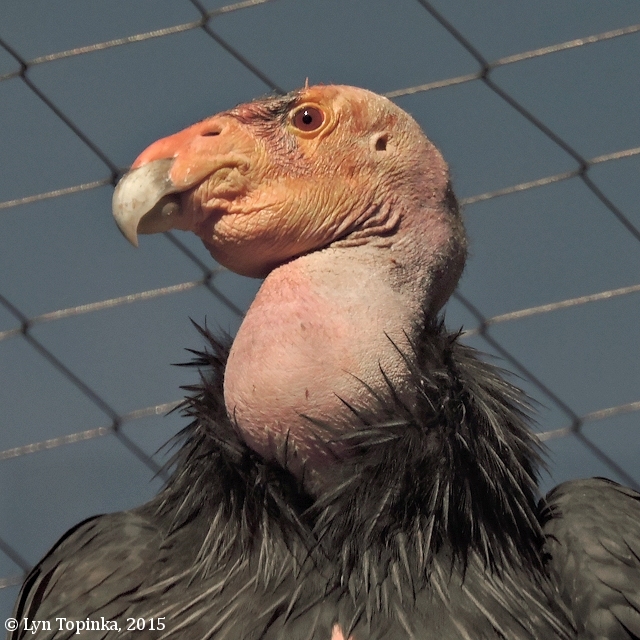 Click image to enlarge Feeding, California Condor, Jonsson Center for Wildlife Conservation, Clackamas County, Oregon. Image taken September 19, 2015. 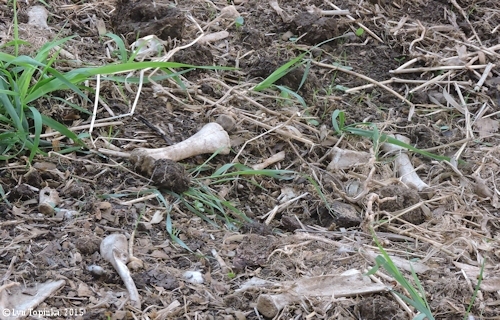 Click image to enlarge Calf bones, California Condor, Jonsson Center for Wildlife Conservation, Clackamas County, Oregon. 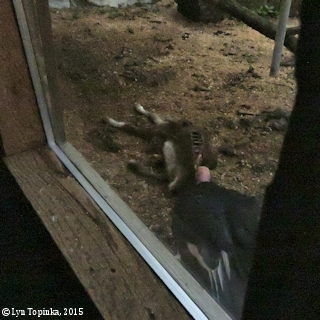 Image taken September 19, 2015. Click image to enlarge "Mom and Kid", California Condor, Jonsson Center for Wildlife Conservation, Clackamas County, Oregon. Image taken September 19, 2015. "Kid" was pulling leaves off the tree.